Check out these bonsai-related gifts for your special someone. Looking for more than a box of chocolate on Valentine's Day this year? Get your bonsai-loving love something you know they'll love! Read National Bonsai Foundation’s Official Valentine's Day Gift Guide for Bonsai Lovers and get gifting! 1.) Didn’t win a copy of Ann McClellan’s book last week in our quiz? Get your copy now! It’s the perfect coffee table book for the bonsai lover in your life! 2.) 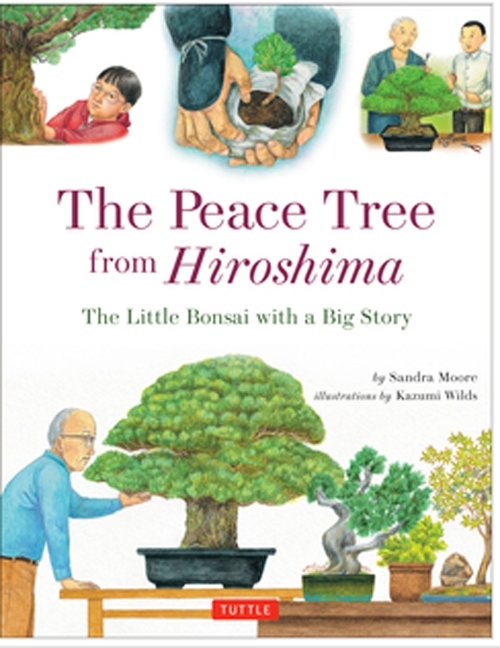 Show love for the little ones in your life and get them hooked on bonsai early with Sandra Moore and Kazumi Wilds’ The Peace Tree from Hiroshima: A Little Bonsai with a Big Story. 3.) Was your couple’s 2019 resolution to be more active? Sign yourself and your partner up for a yoga session amongst the bonsai! Learn more and register here. 4.) John Naka’s Sketchbook is the perfect Valentine’s Day gift: each of this Dean of American bonsai’s 100 sketches is as unique as your loved one! 5.) Give the gift of a unique and memorable experience. Register you and your Valentine for Forest Bathing Amongst the Bonsai, with Melanie Choukas Bradley. Awaken your senses! Learn more and register here. Newer PostPhotos from Our Photo Class!